The Mountain Race, as it is locally known, first run in 1960 as part of the village show and every year since 1973 (except in 2001 when the show was cancelled due to the Foot & Mouth outbreak). It is a traditional village show fell race, basically one from the show ground field to the highest local peak and back. The race starts 1pm with registration from 11am-12.30pm in the church yard. Registrations on day only. Over 16s. Entry £5. Race Route (2010 onwards): The race route is unchanged since 2010. A safety concern from the 2002 route, as race numbers increased, was with zig-zags section with high speed front runners hurtling through lower speed back markers. 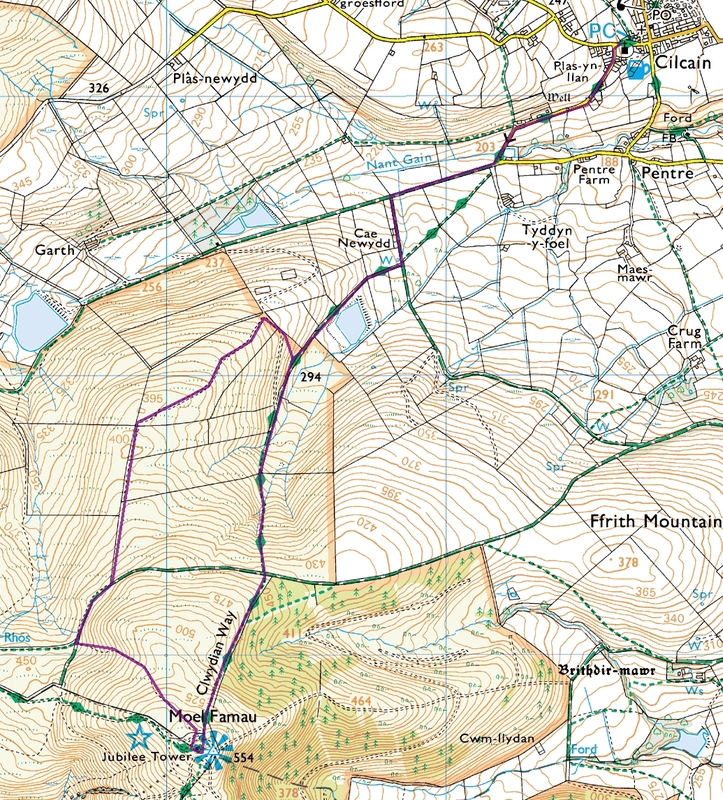 Hence the decision was taken to move the descent route onto the northern spur creating a circular route. 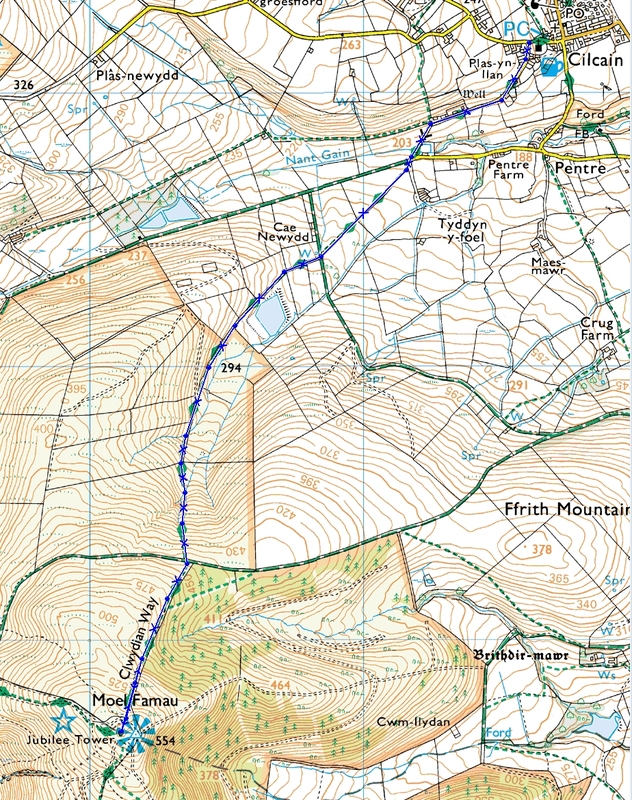 Revised Route (2002-2009): The two stiles & crops in the fields was causing issues so the route was diverted to the main track for the 2002 race. The route change added an additional 200m to the length of the race. 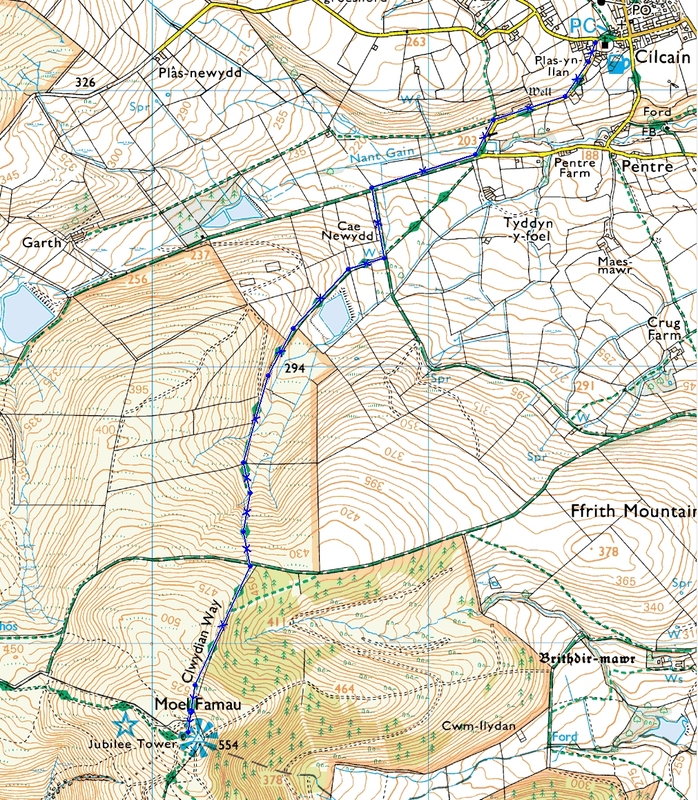 Original Route (1973-2000): headed diagonally up the fields from the water works on the public footpath. Apart from the front runners the stiles caused the inevitable backlog for those following. 1973 Winner – Peter Keeley – Would have won the fancy dress also with those shorts! Junior Race details can be found here.